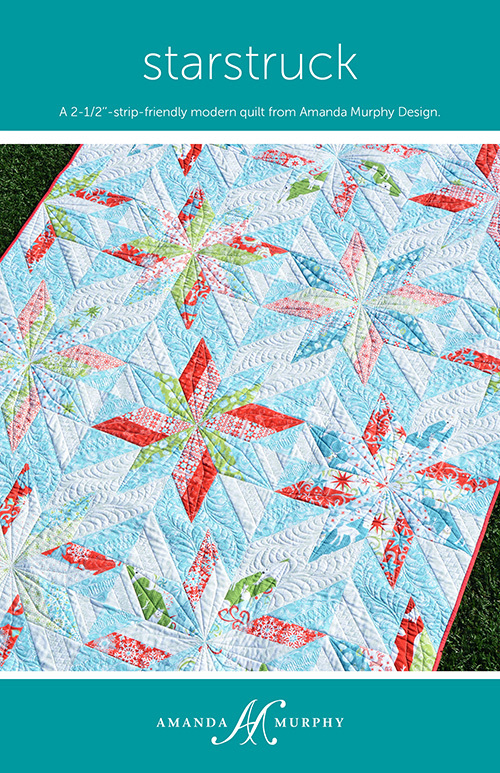 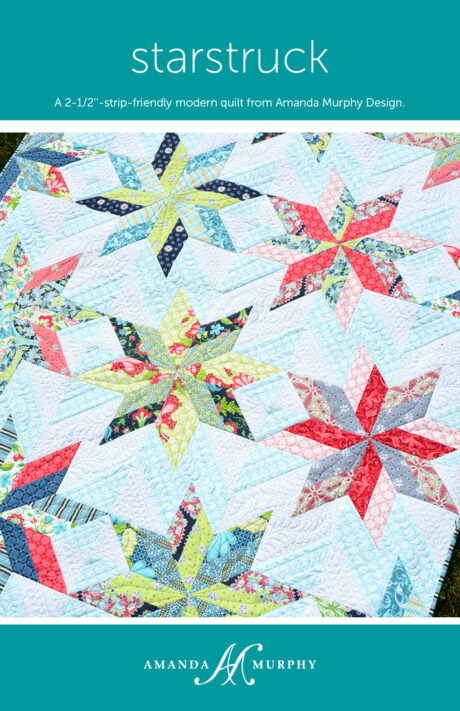 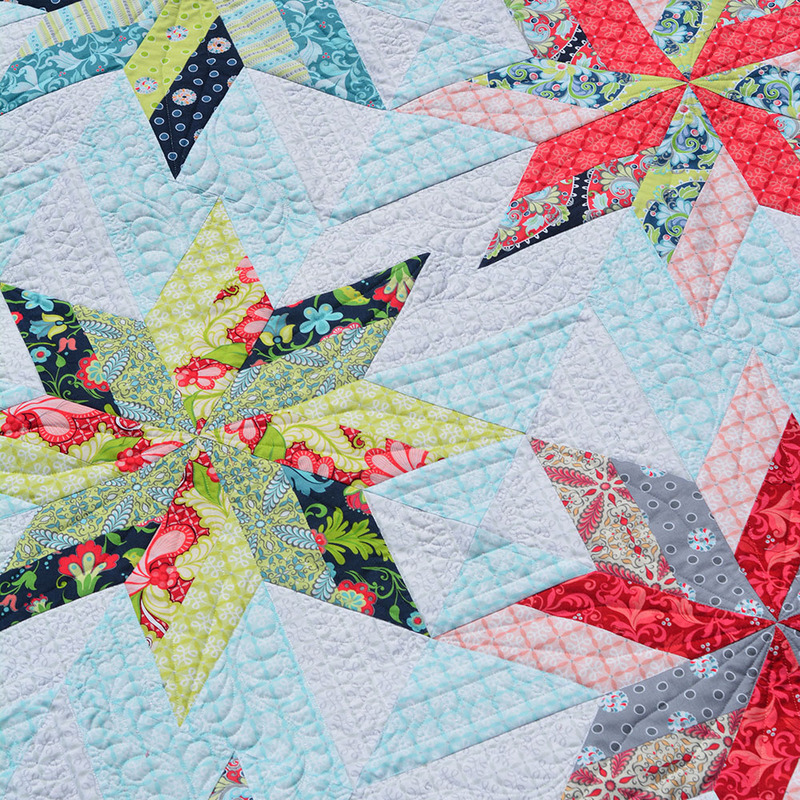 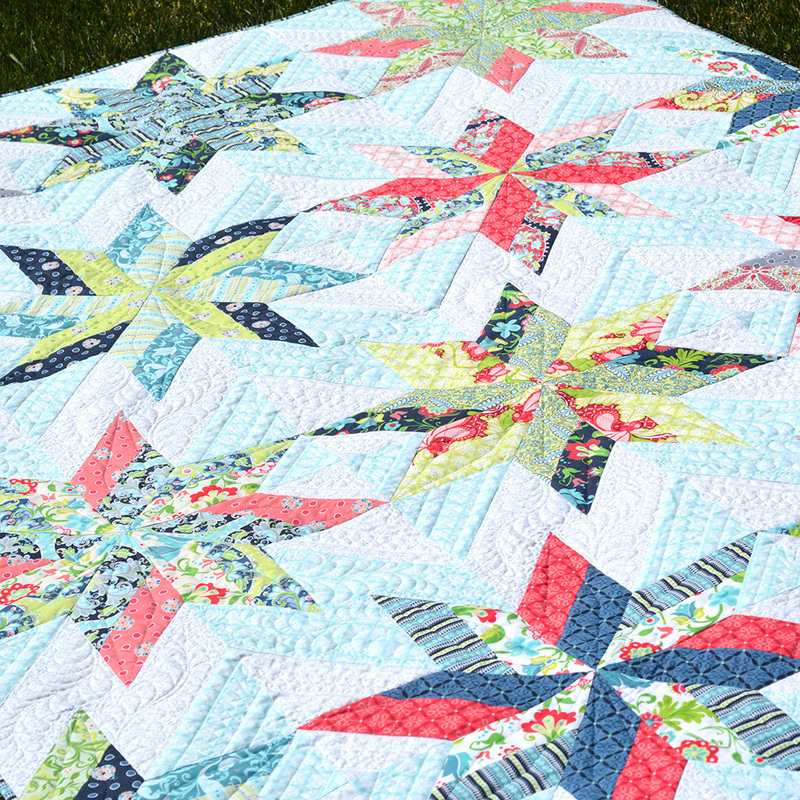 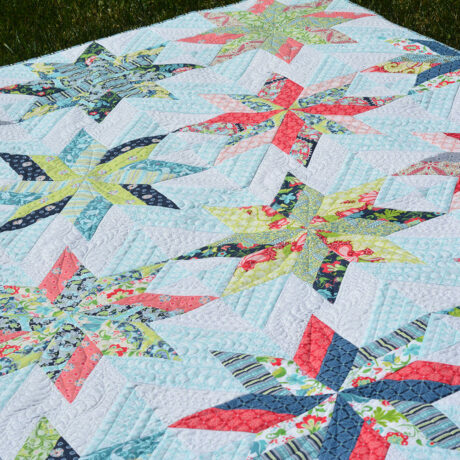 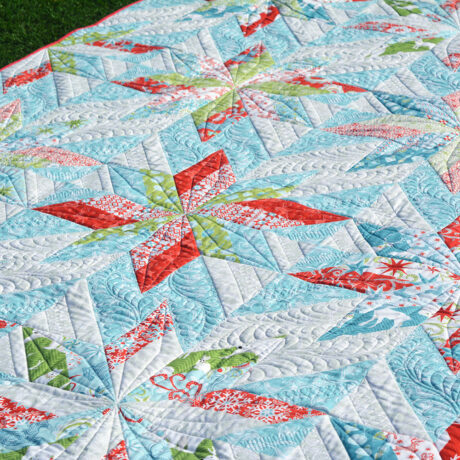 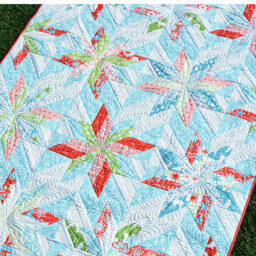 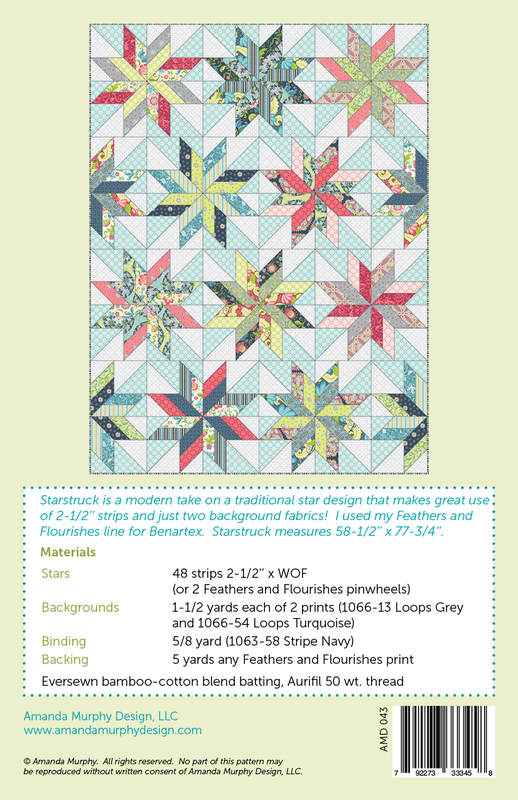 Starstruck is a modern take on a traditional star design that makes great use of 2-1/2’’ strips and just two background fabrics! 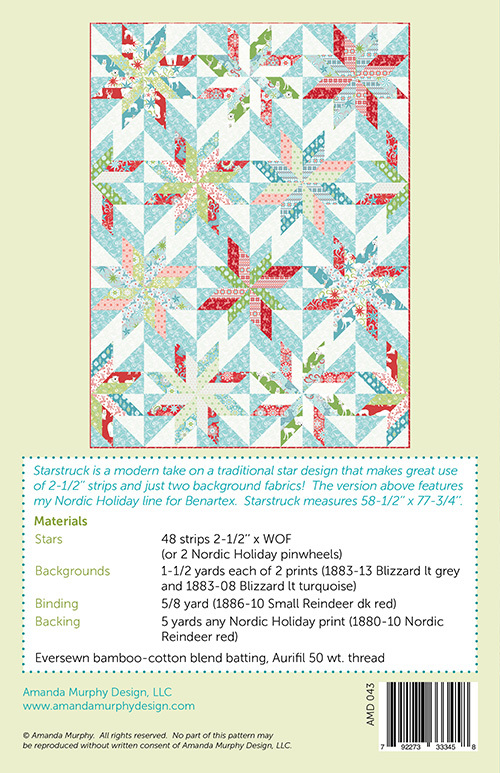 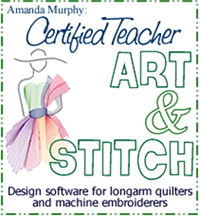 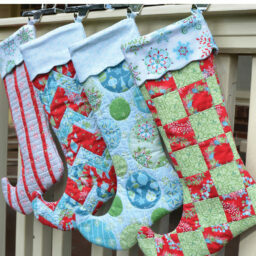 The Sample shown on the cover uses Amanda Murphy’s Nordic Holiday collection for Contempo/Benartex. 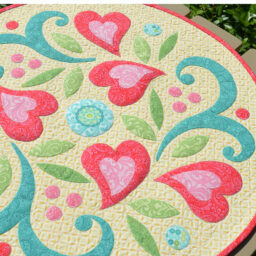 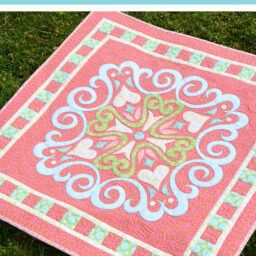 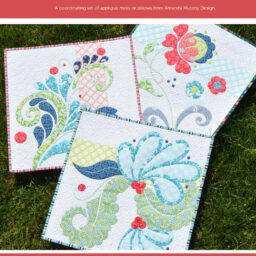 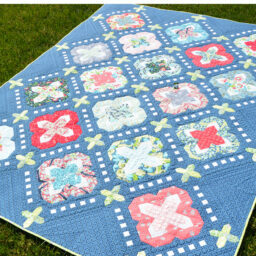 The quilt pictured on the inside shows her Feathers & Flourishes collection.